Rajam Rice is an all time favourite Punjabi food. When one talks of Rajam , what comes in mind is a smooth gravy of made with onion & garlic. 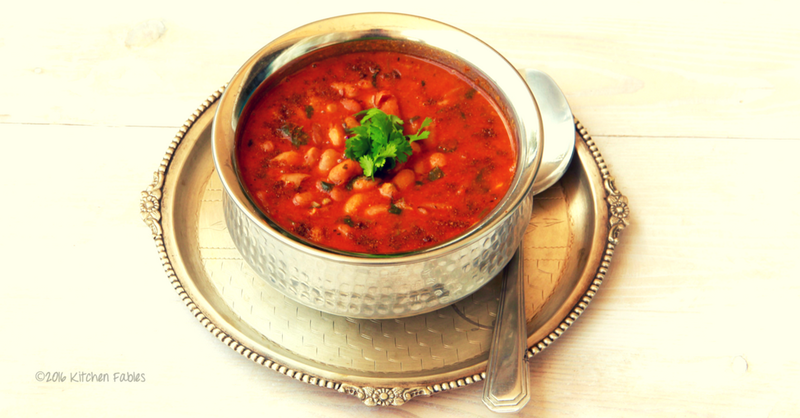 To refer the regular Rajma recipe please click. During Navratri many of us even though we do not fast we do not consume onion and garlic. 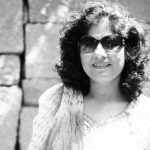 My daughter demands Rajma Chawal atleast once a week. 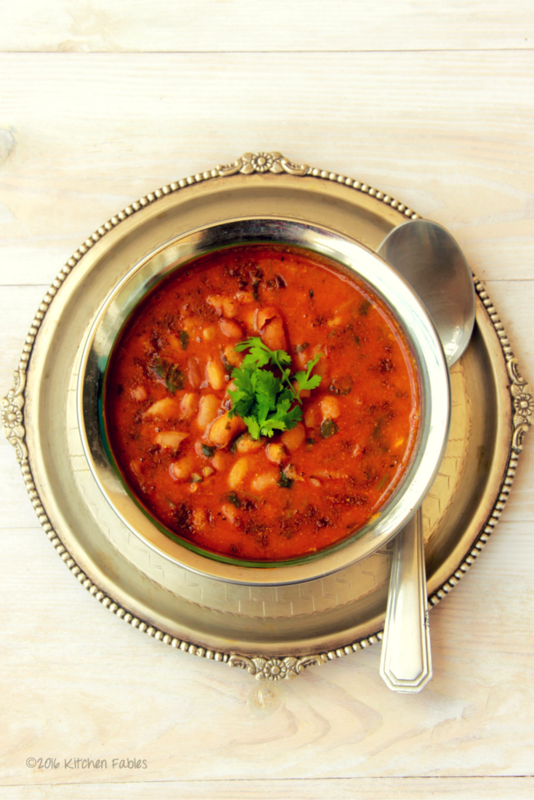 This week as we are not consuming onion and garlic, I thought of making Rajma avoiding those 2 ingredients. As usual made a little extra so that she can have some the next day as well. I learnt this recipe from my sister. Not only is it more convenient, it is quicker and consumes less oil too. Peeling onion & garlic, chopping etc, is time consuming. For those who want the taste with out the time spent you can use my Ready to use Onion & Garlic Masala. There are two types of Rajma available in the market Red & White / Chitra. 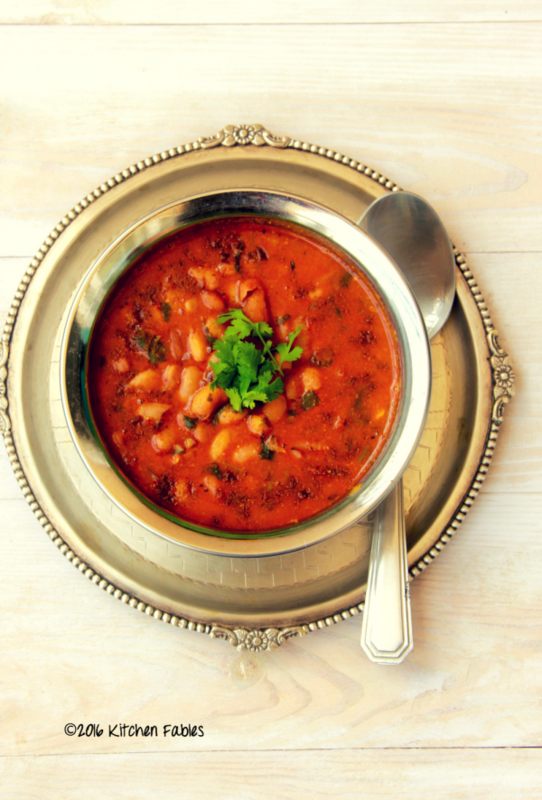 I prefer using Chitra or White Rajma as it cooks quicker and also mixes well with the gravy. 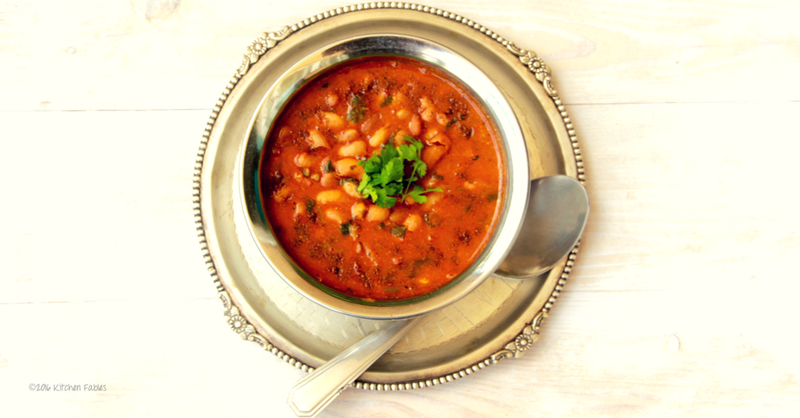 The red rajma takes longer to cook and also deos not mix well with the gravy. Wash and Soak Rajma for 6 hours or overnight. In a pressure cooker take rajma and put enough water to soak the rajam ( 3" above the rajma ), add salt and pressure cook. Switch off the flame after 3 whistles. In a pan heat oil and add ginger and stir till ginger in golden brown. Add pureed tomato and stir till the tomatoes are cooked well and you can see oil on the edges of pan. Add coriander powder, red chilly powder and turmeric powder and stir well for 2-3 minutes. Garnish with garam masala and chopped coriander. 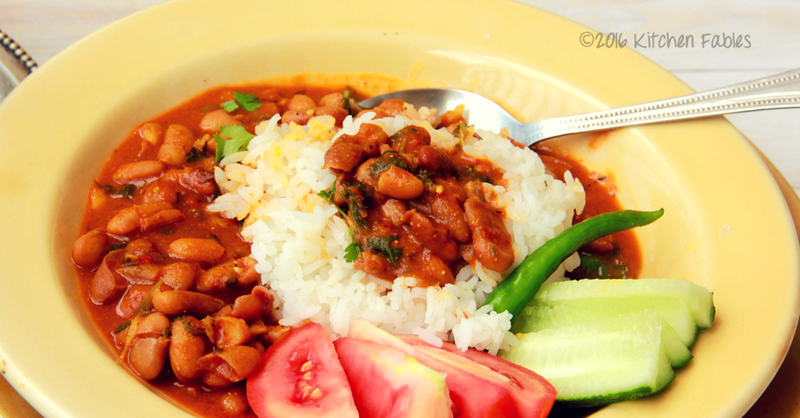 Love rajma, the picture looks tempting. Thank you Arun and Sundari ! !